If you are planning an upcoming event like a wedding or party, the venue you host it at is likely one of the top priorities you have. Finding the perfect event venue in Tulsa ensures that you have the right mood and atmosphere to make your event a success. Keep these 3 considerations in mind when you are touring potential venues to find the one that is just right for your needs. The size of the venue you choose will likely depend on the number of guests you plan on inviting. It is important to ensure that your guests are comfortable and not crammed into a small room or they likely won’t stay for very long. The perfect event venue will have enough space to provide room for various activities at the same time while still providing room for people to relax. Depending on the type of event you are having, you may want to provide alcohol or food to your guests. Unfortunately, many venues will require you to use their services or catering partners to achieve this. More often than not, this will lead to high-costs that won’t be beneficial for you. To avoid this, make sure you know the venue’s rules before signing a contract. The atmosphere of the venue you choose will ultimately set the tone for your event. 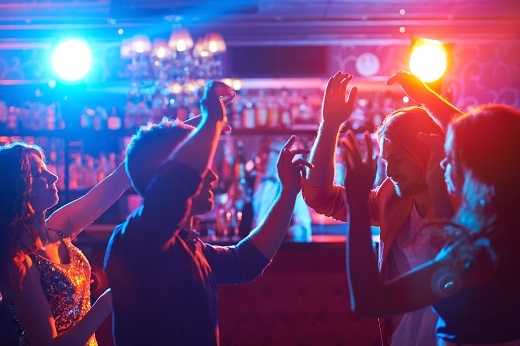 For a fun event, look for a venue that has unique lighting, entertainment options and other amenities that will aid your event. If you are looking for a place that is more formal, consider a more classic venue to achieve the desired atmosphere. Why Choose Stokely Event Center? If you are currently looking the perfect event venue in Tulsa, Stokely Event Center can make sure your special day is unforgettable. Guests to your birthday party will love the free-to-play games and a wide assortment of decorative signs. With the flexibility of catering in outside food and drinks, event menus can fit a variety of preferences. Our sound system, projector and screen are included for one great price to meet your audio/visual needs. If you are interested in reserving Stokely Event Center, please call us at 918-600-4448 or complete our online request form. We can’t wait to be part of your special day!